Map showing the location of BioNutria Park Randers in Denmark. nice looking stadium and pitch. great grass. how much did it cost to design and construct that stadium? NOW SEE ! That's Randers Stadium !! That Photos is NOT Randers Stadium.. 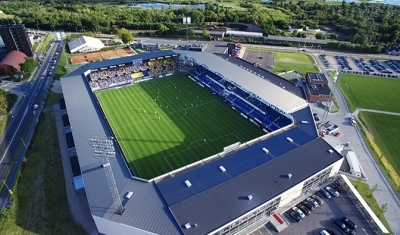 It's the Stadium in Herning, SAS Arena..
You have the ability to request en edit to any of the details of BioNutria Park Randers. You can do this by clicking on one of the options below.